Here's another card made with the Fall Fest stamp set. This set is great for Halloween but it also has leaves so I look forward to using it well into November! I can't take credit for this cute card. I saw it on a display board at a recent group event I attended, and I don't know who the designer was. 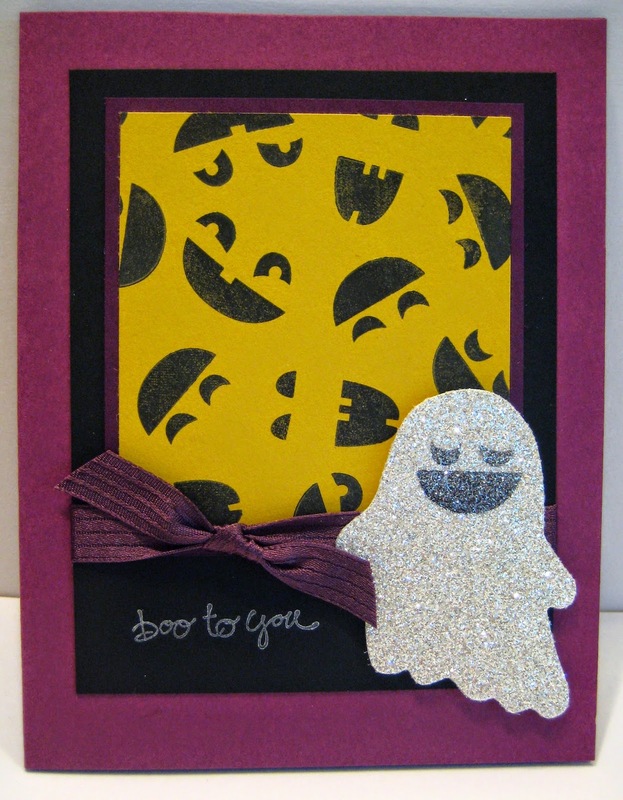 Here's one of the cards we will be making at tonight's last minute Halloween card class. 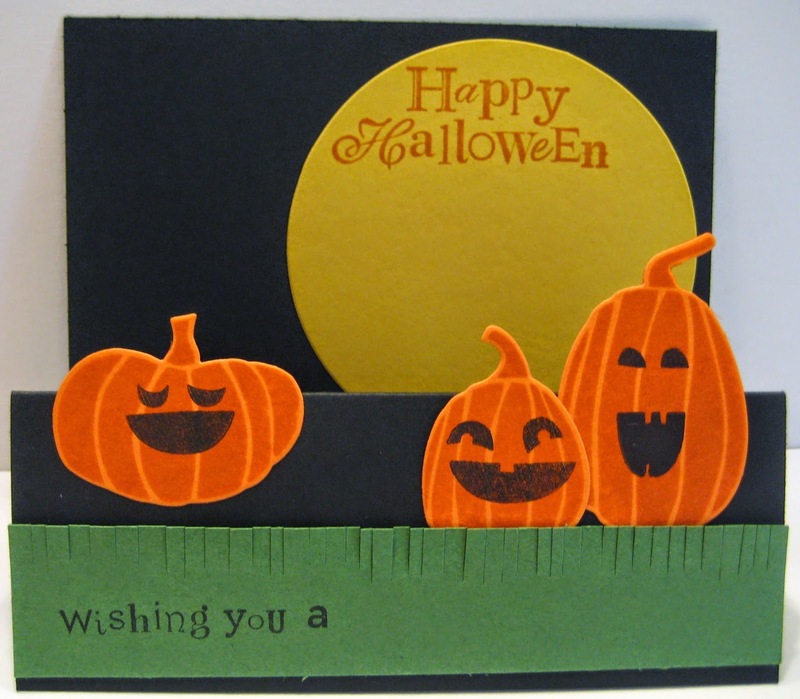 I had to cancel my monthly stamp-a-stack earlier in the month, so this is a chance for anyone needing a quick Halloween card to make a couple of quick cards and call it a night. I am making two cards using Fall Fest but they are very different cards. Click here to see the other card. Just to mix things up a bit, I folded this so that it folds out in layers to reveal more of the moon. 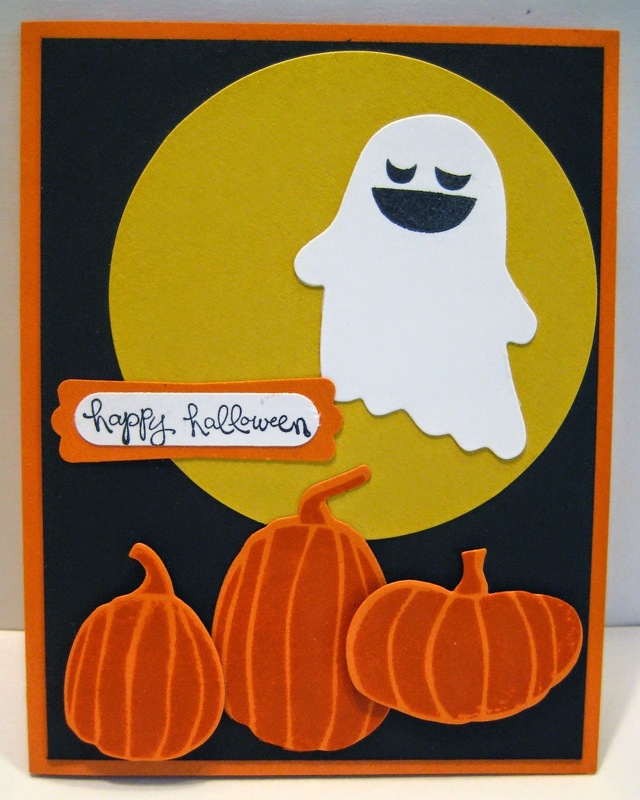 Halloween's coming soon so I got busy today and created a few Halloween cards. I thought the faces in the Fall Fest stamp set would be perfect for this card and instead of doing a Jack-o-lantern, I went with a ghost. I have some stampers who are big fans of the bling, so I couldn't resist using the glimmer paper for this guy.